Ethical issues, both professional and personal, are inherent in every aspect of closing a practice of psychoanalysis or psychodynamic psychotherapy. This is true whether the closure is voluntary and planned or sudden and unexpected. Ethical issues are involved when there are reasons to consider closure but closure is declined. For senior psychoanalysts or those in poor health, the situation may be especially fraught with loss, mourning, attachment and narcissistic issues, internal conflict, and the operation of psychic defense mechanisms, along with stress and distress induced by external reality. Dr. Clemens and the audience will explore these issues together. About the Presenter: Norman Clemens, MD is a general adult psychiatrist and psychoanalyst, who until 2011 had a private practice in a University-based, full-service medical building. 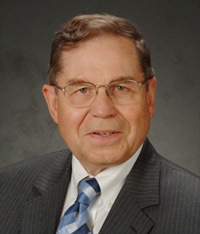 At the end of July 2011, Dr. Clemens closed his private office and retired from active practice. He remains active in teaching, consultation, supervision, and professional writing. Dr. Clemens is Emeritus Clinical Professor of Psychiatry at Case Western Reserve University, Training and Supervising Analyst at the Cleveland Psychoanalytic Center, President of the American College of Psychoanalysts and Councilor-at-Large of the American Psychoanalytic Association.